Be the MVP of Safe and Responsible Driving on Super Bowl Sunday. 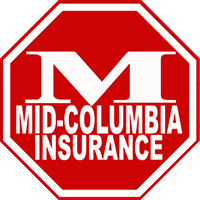 Mid-Columbia Insurance wants to help get this important safety message out to the public about designating a sober driver on Super Bowl Sunday – Fans Don’t Let Fans Drive Drunk. Before choosing to drink, choose a sober designated driver. Avoid the unsportsmanlike conduct of driving drunk by handing off your keys so that you, your passengers and everyone on our roads can safely arrive home. Drunk driving is always preventable, and driving drunk could result in seriously injuring or killing yourself or someone else. Motorists can expect the police to have a visible presence and to stop anyone who makes the dangerous decision to drink and drive.